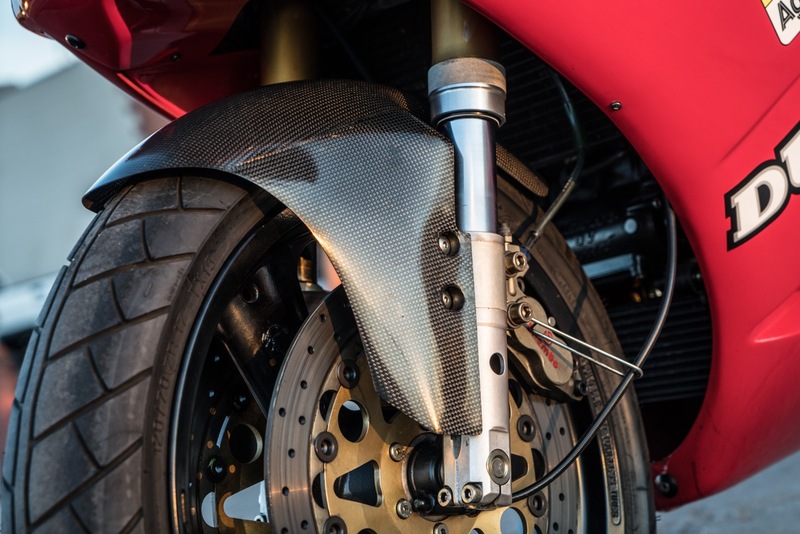 At 300lbs wet, the modest 28 rear-wheel horses certainly moves the bike along, but performance couldn't be considered much more than "brisk," with a top speed hovering around 100mph. Of course, straight-line performance wasn't really the point. 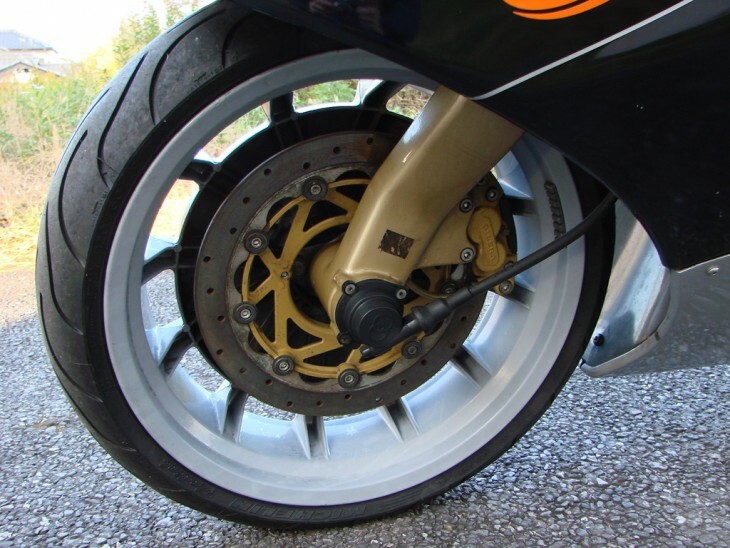 Single sided front and rear suspension mean that the bike appears to have no suspension at all when viewed from the right-hand side: the wheels just seem to float in space. 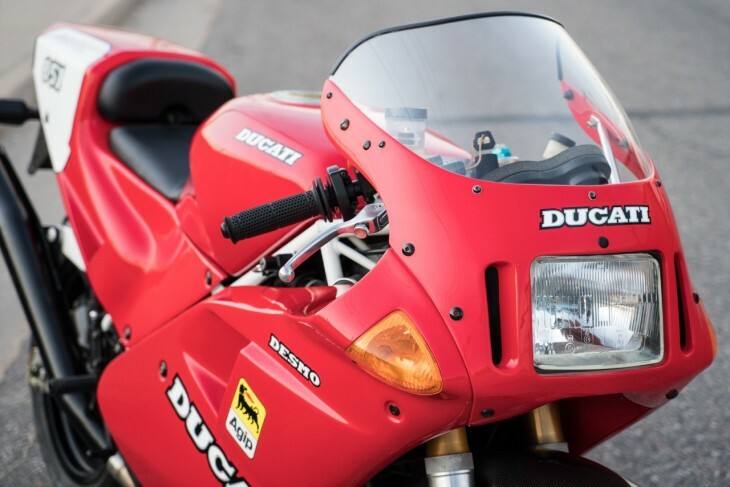 The design of the front isn't as ambitious as something like the Tesi or GTS1000. 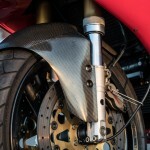 It's basically just a telescopic fork with one leg missing and was developed by suspension specialists Paioli. 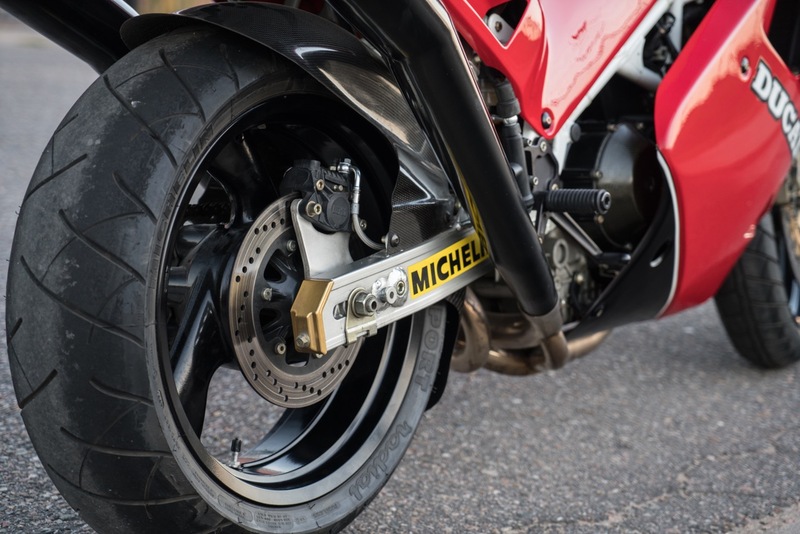 It handles well, but that's likely due to the bike's light weight and sporty frame geometry: the advantages of this setup are mainly cosmetic, aside from the fact it should make for easy tire changes. Located in Santa Ana, California. 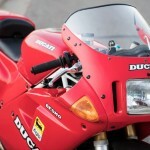 This bike has 3432 KM = 2059 Miles. 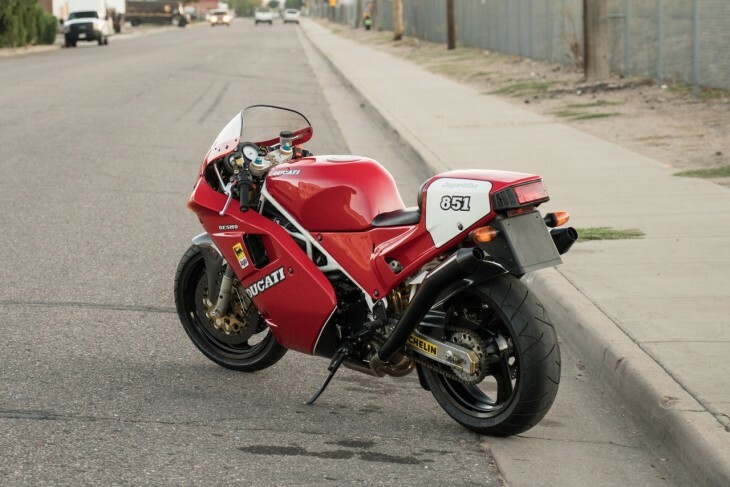 I believe this bike is all original, but not 100% sure. 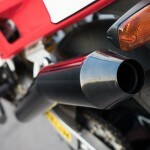 I'm not a expert on these CX125s. Engine runs good, no problems. 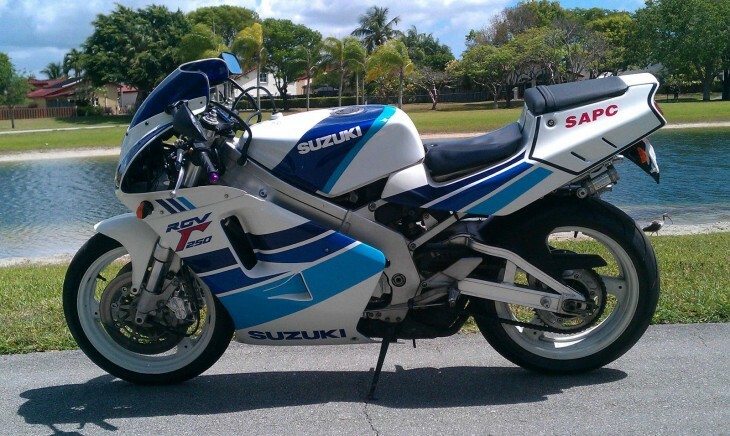 I think the bike is in good condition for it's age. 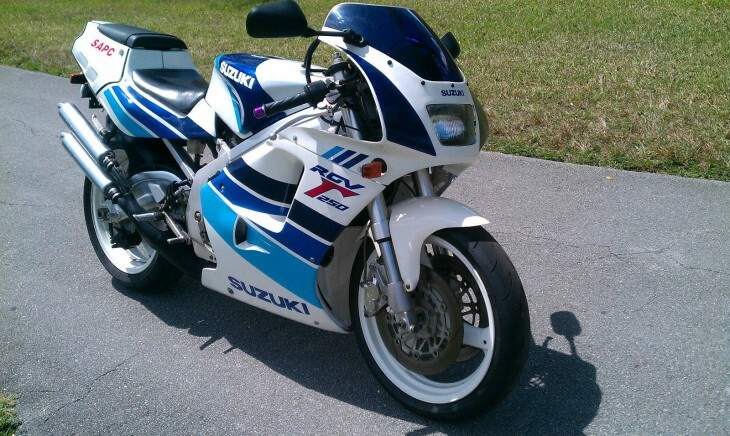 This bike is being sold with a bill of sale only. I don't have a title for the bike and can not get one, so don't ask. All stupid questions will not be answered. More info is available on our website. If you overseas or Canadian buyer, you will have to make your own shipping arrangements. I can help USA buyers with the shipping, or you can arrange your own shipper. 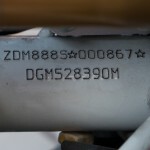 Bike is being sold as is, no returns. Ask questions and look at the pictures carefully before you bid. 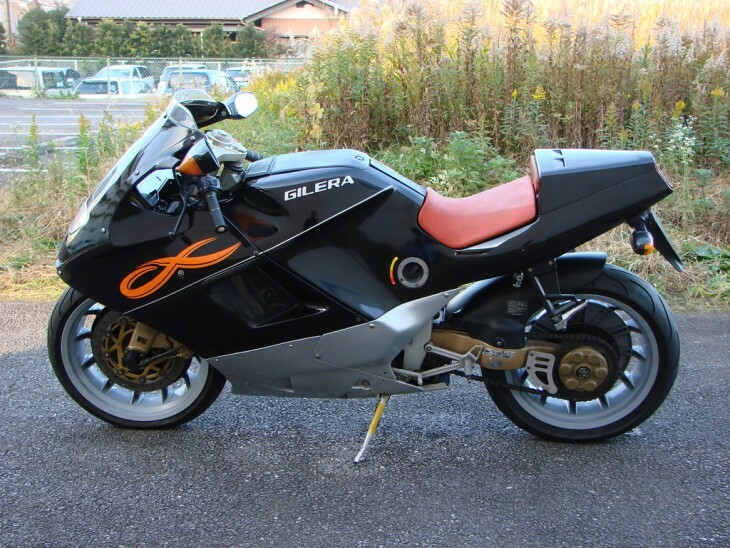 Again, this bike is being sold with a bill of sale only, NO TITLE. 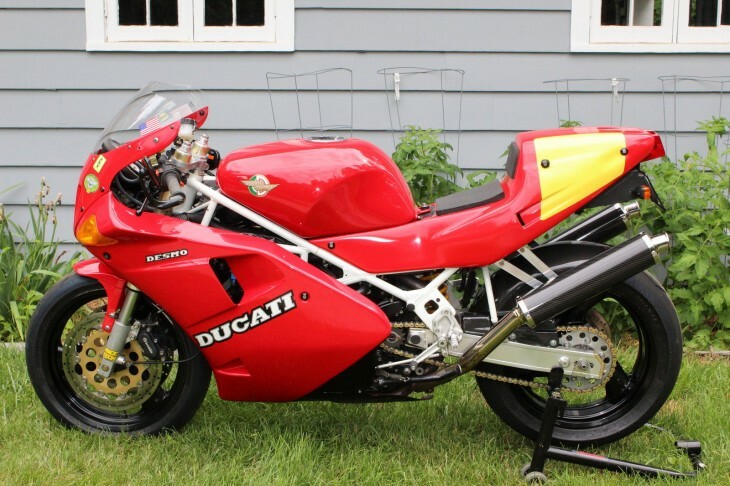 At a starting bid of $5,900 there are no takers yet. Certainly, you're not buying performance here, but that price does seem like a pretty fair price for such a rare and interesting machine. Even if you're forced to just look at it. 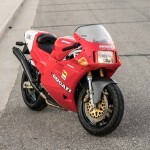 Featured Listing: 1991 Ducati 851 SP3 for Sale in the USA! 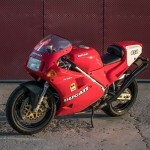 At the time it was last posted, the RSBFS commentariat was pretty critical of both the pricing and the photography, but with the photography issue sorted, I think it's clear why the seller has ambitious goals in terms of pricing: it's a beautiful example of a very rare bike that is likely to become very valuable. 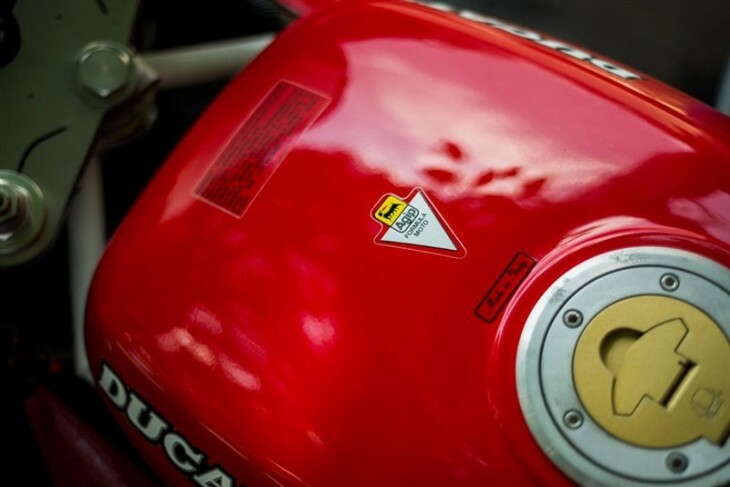 The 916 is perhaps the most iconic modern Ducati, but the 851 laid the groundwork and although the 851 certainly isn't as pretty or as elegant as its descendant, it has a brutal simplicity that is every bit as purposeful and effective. 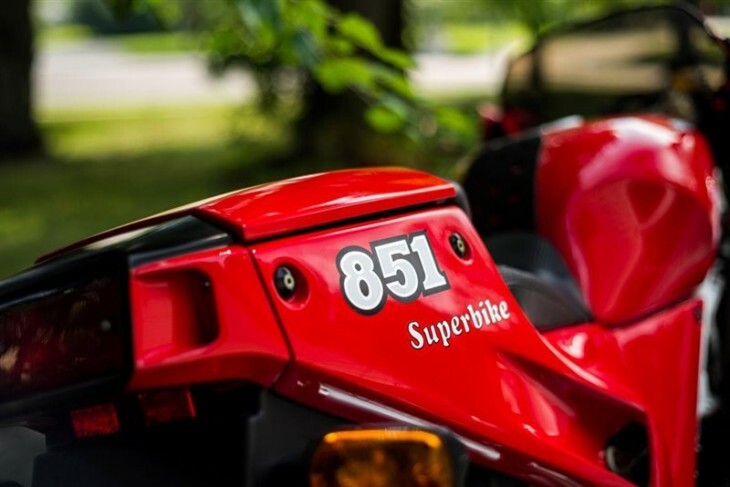 Originally introduced in 1987, the 851 was most significant for its introduction of four-valve heads, liquid-cooling, and fuel injection to the venerable L-twin engine, changes required to make the bike competitive in the then-new World Superbike series. 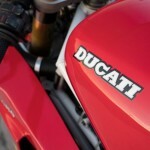 It worked, and Ducati returned to the world performance stage in a big way. 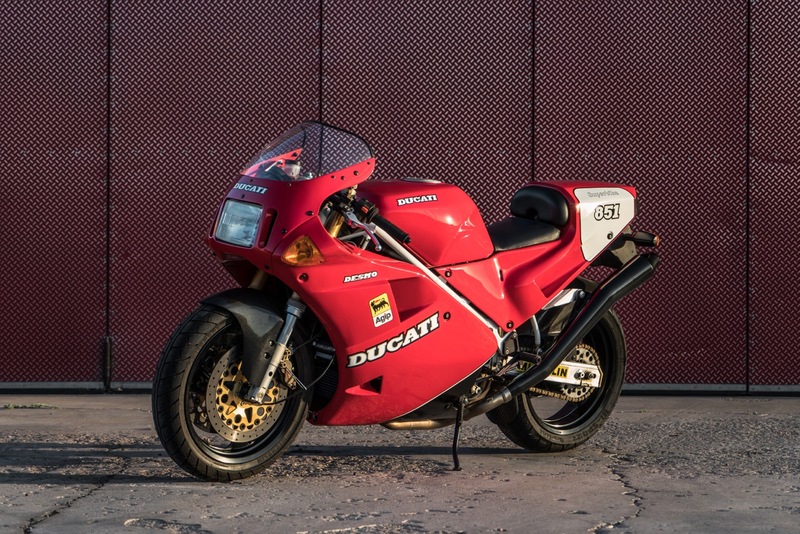 Good for a claimed 93hp and the usual fat midrange and lazy power delivery compared to four-cylinder rivals, the 851 was eventually superseded by the bored-out 888 that displaced, surprise surprise, 888cc. 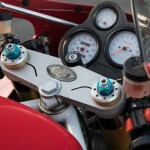 That bigger motor also powered the homologation SP3 and put out 111hp. 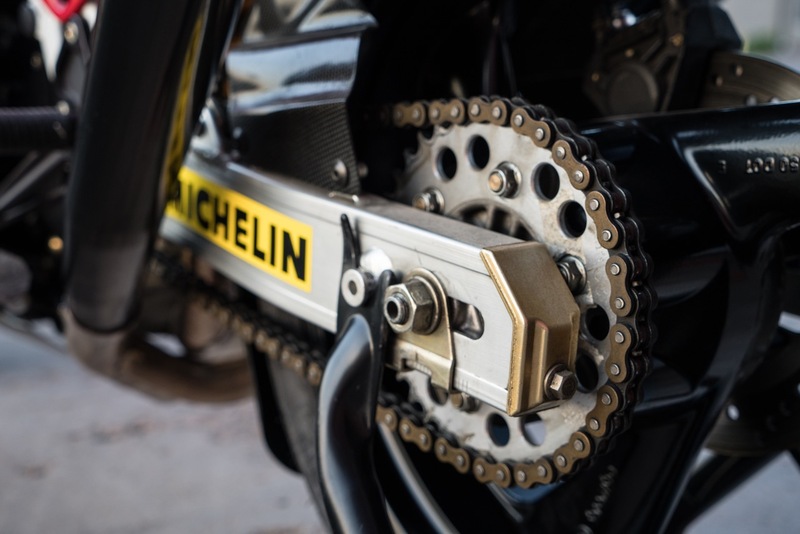 Other changes to the SP3 included Öhlins suspension at both ends, a close-ratio gearbox, reinforced cases, and a few cosmetic carbon bits. 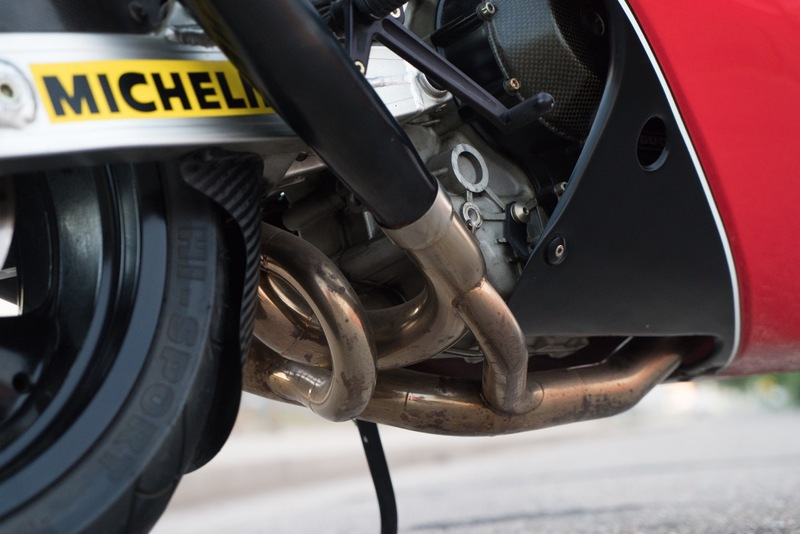 The original bikes did have a set of Termignoni upswept pipes, although this bike features what appear to be Verlicchi megaphone exhausts. 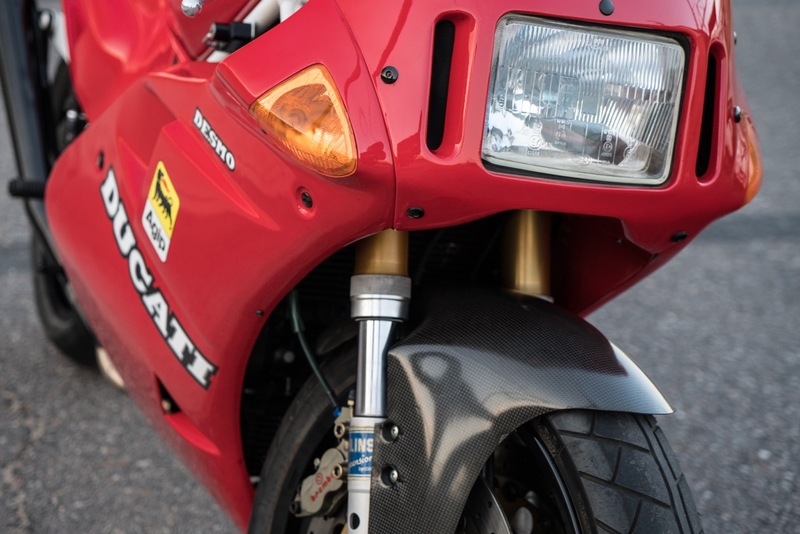 It's a shame the originals are missing*, but I've seen a number of earlier 851's with similar exhausts so they're not completely inappropriate. 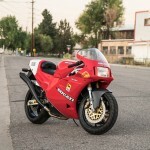 I purchased this bike from The Silverman Museum Collection. It was serviced extensively prior to me purchasing it. 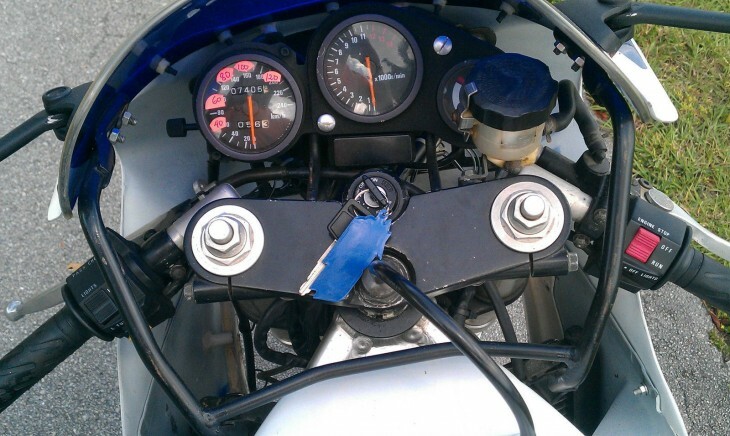 I then had the fork seals replaced and the clutch and brake lines replaced along with a few other odds and ends (oil change, battery, etc.) 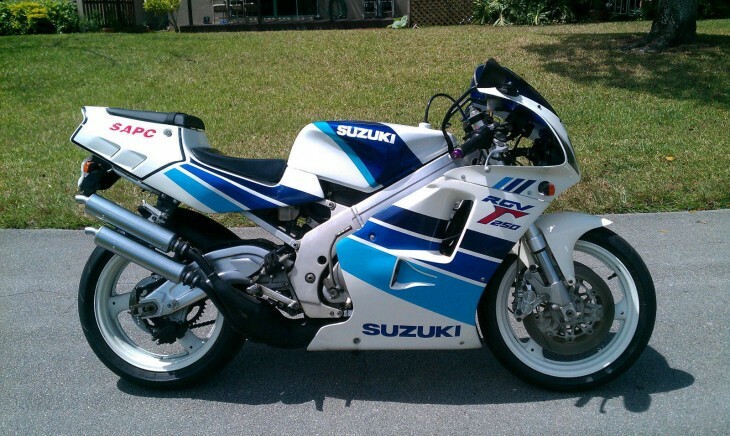 I only rode the bike once (it scared me), I thought it was just beautiful to look at. I would put new tires on it if i planned on riding it a lot, but other than that, it's in great shape. 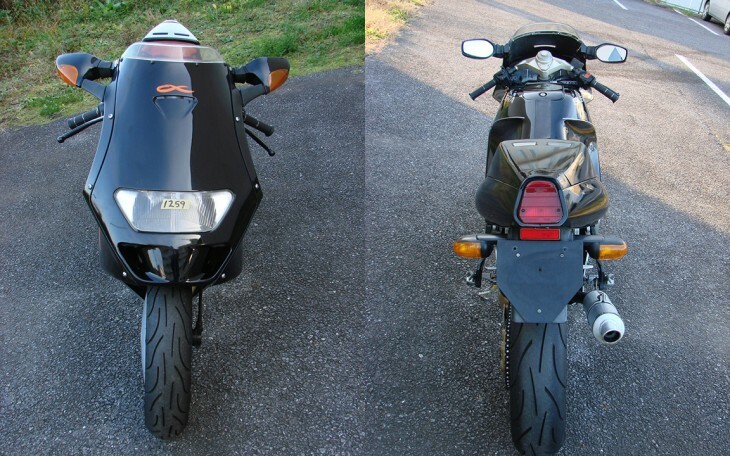 I believe these pictures do the bike justice. I can provide a video of a cold start for anyone who is interested: it likes a little throttle when cold but after it's warm it will idle without issue. It sounds phenomenal. 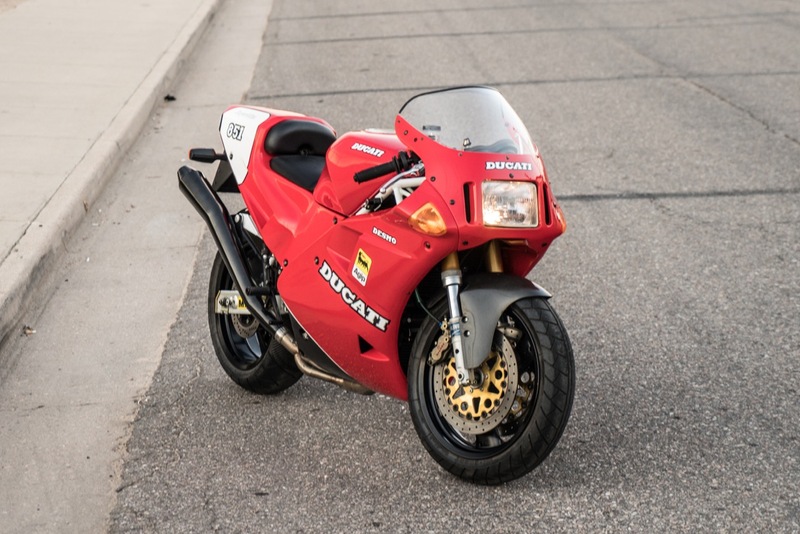 Keep in mind while the seller is asking some big money for an 851, this is an extremely rare homologation-special SP3 and even cooking 851's are finally beginning to appreciate in value. 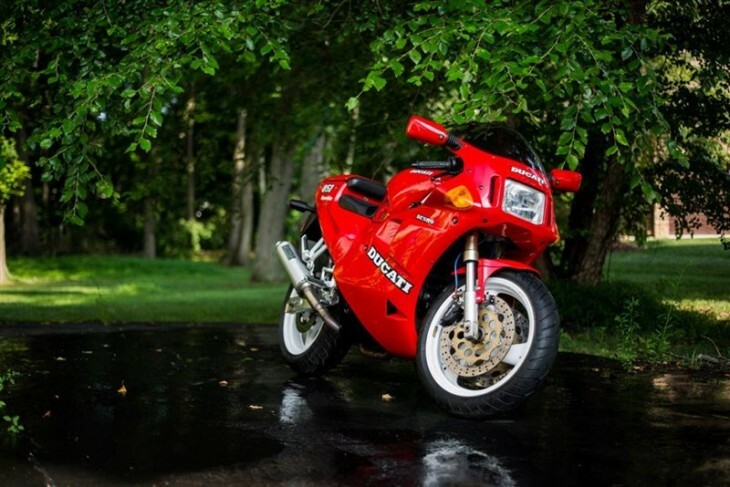 While the Ducati Monster can be credited with saving Ducati in terms of sales, it was the 851 that gave the brand back the street cred on which the parts-bin Monster traded, and paved the way for the stunning 916 that graced a million bedroom walls. 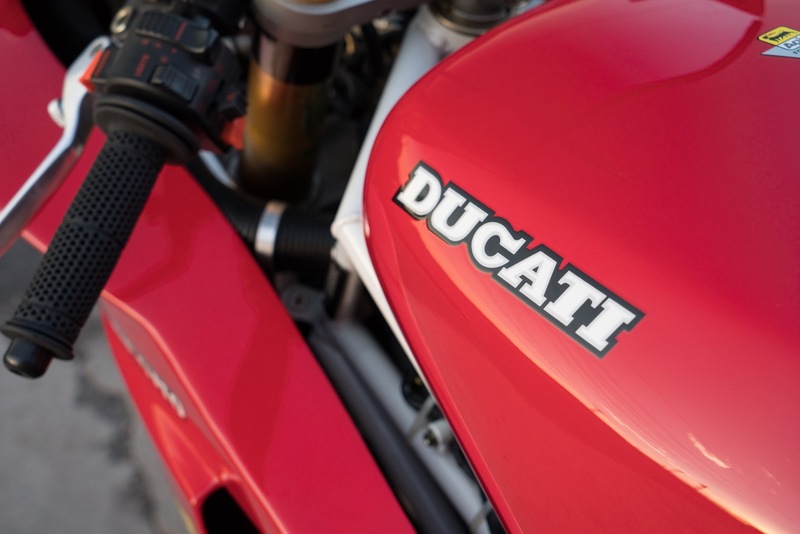 Given a clean sheet of paper and nearly unlimited resources, it's no surprise when major manufacturers come up with good motorcycles. In fact, when you consider those factors, it's shocking how often they get it wrong... 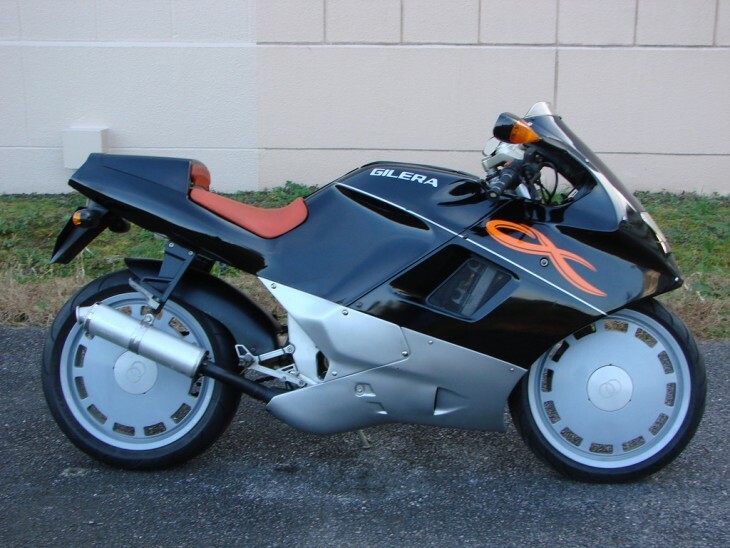 But Buell had neither advantage in building his motorcycles and still managed to come up with some very interesting motorcycles. 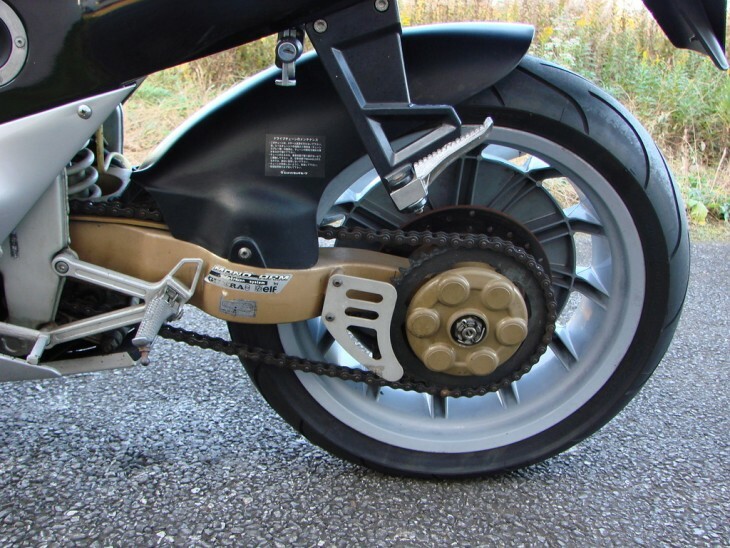 In fact, many of the most striking innovations in his early bikes like this Buell RS1200 were workarounds for the tall and heavy Harley powertrain he was using. Too heavy? Save weight everywhere you can. Bulky non-unit engine and transmission? 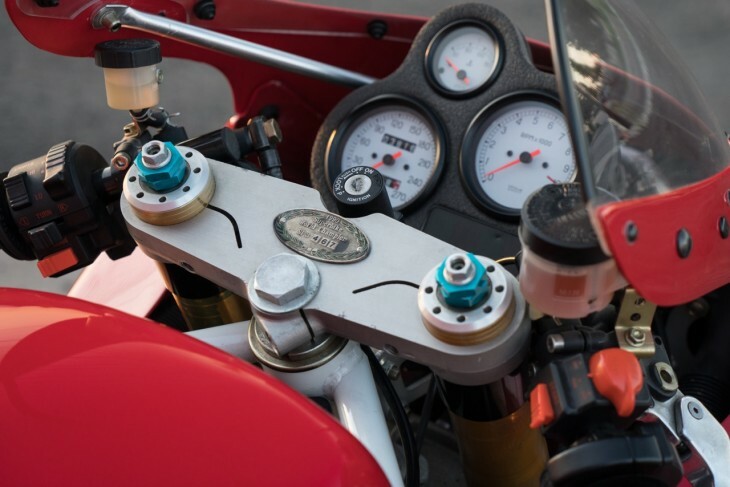 Centralize mass with a shock mounted under the engine. Vibey powerplant? 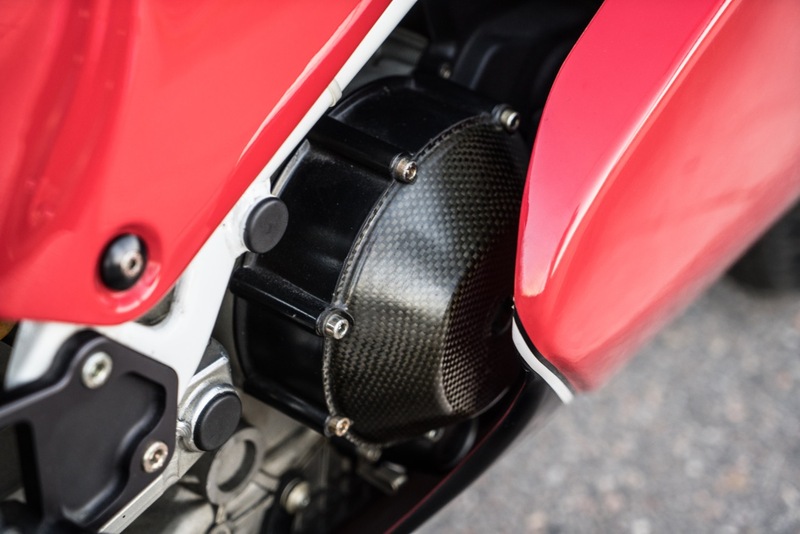 Mount it using innovative heim joints that works like Norton's "Isolastic" system to isolate the worst of the vibrations and allow a stiff package that doesn't try to rattle the rider's teeth loose. Worried about losing your girlfriend off the back? 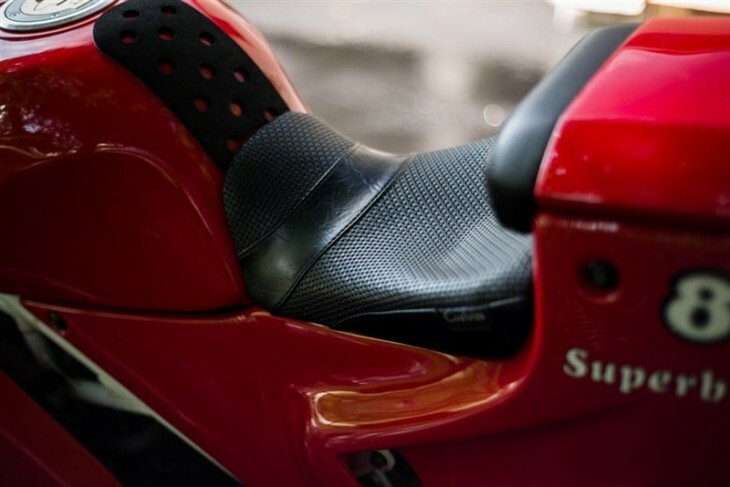 Don't worry, the passenger seat cover doubles as a backrest! 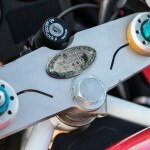 Much of the bike's detailing honestly looks custom up-close. 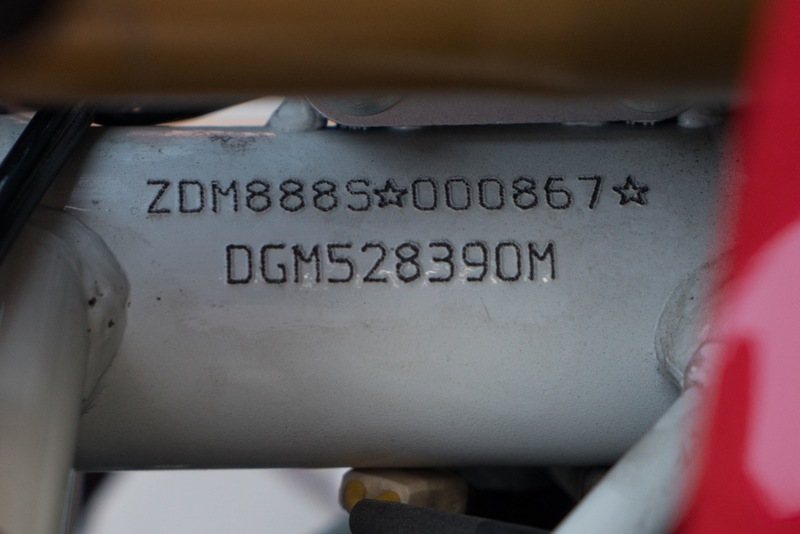 If you didn't know better, you'd swear those heim joints mounting the engine to the frame were aftermarket bits, but no, they were there from the factory, a measure of the quality components used to build these. 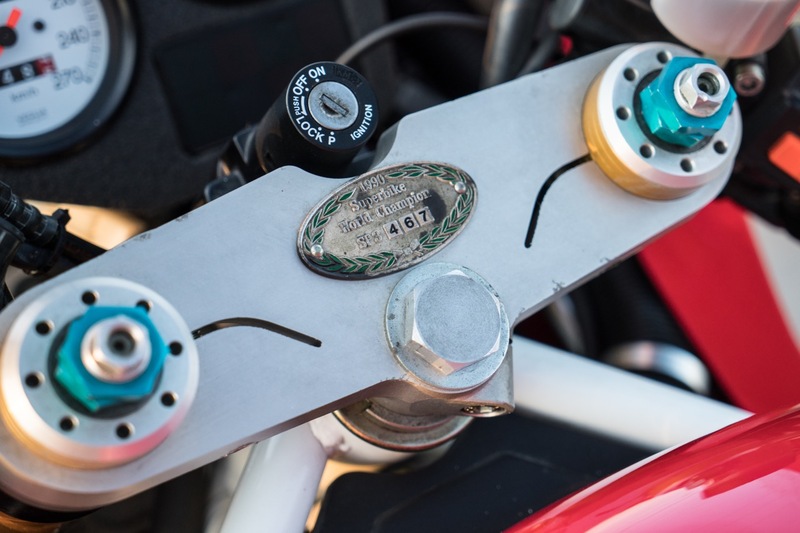 Performance Machine is a brand often associated with Kustom Kruizer Kulture, but they make quality stoppers. 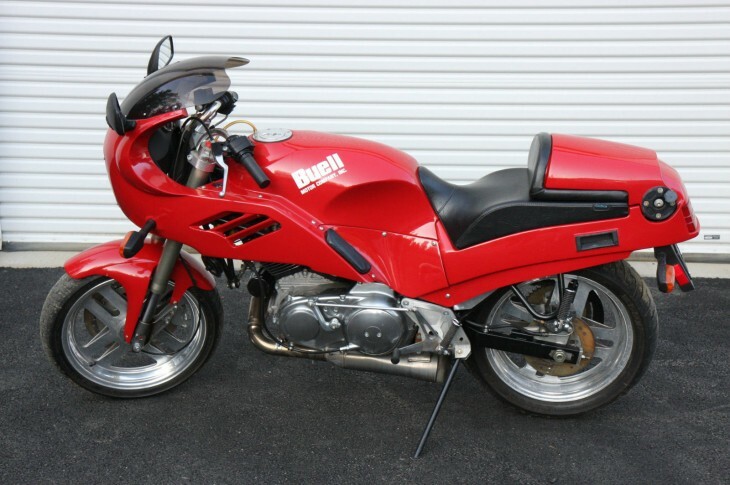 And if the styling of this early Buell is, um... unconventional, the complete package exploits the antediluvian engine's inherent power, torque, and character for a uniquely American take on a sport-touring motorcycle. 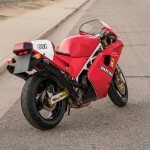 I am the original owner of this Beautiful Red California RS 1200/5 Westwind. 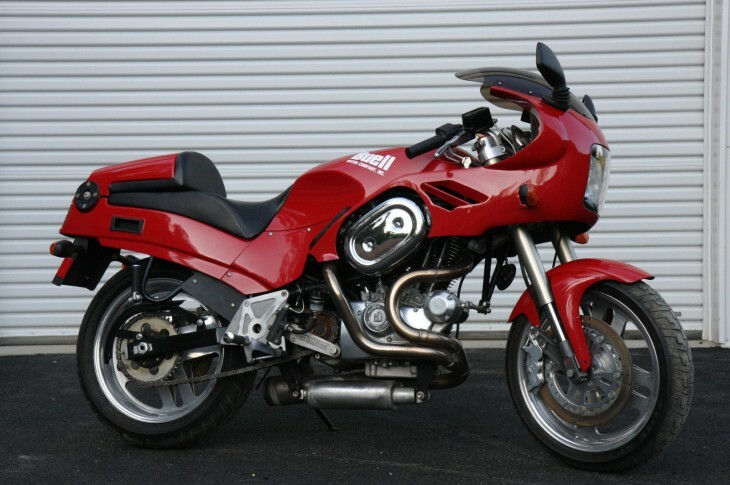 Purchased in 1991 From Fremont Harley Davidson in FremontCalifornia, it has 5289 miles on it and is in very good condition. 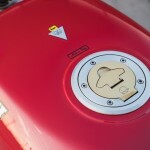 It has a small scratch on the tank and fender. 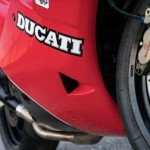 It has a small crack on the fairing. It needs to have the fork seals replaced. 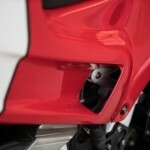 It is bone stock expect for the screaming eagle Dyna ignition. It fires right up and runs like new. It has been garaged and covered since new. I take for granted that most of you know this is one of the hand-built, low production models, before they were mass produced and cranked out by the thousands on an assembly line. 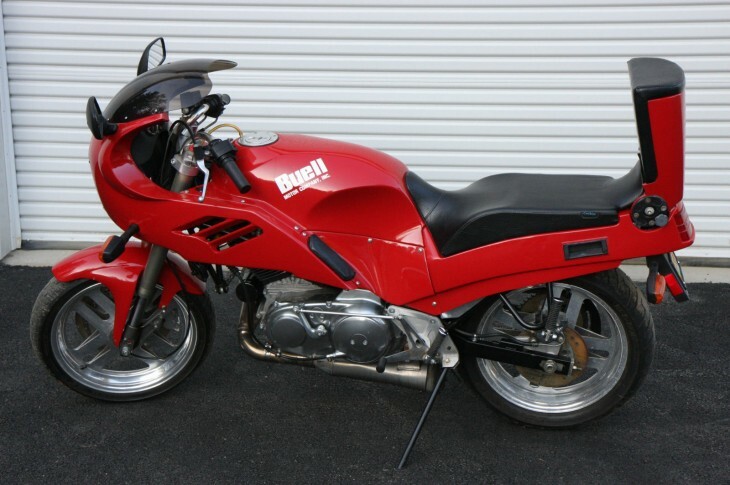 This was when Erik Buell owned the company. It has a unique 5 digit VIN number acceptable to the DMV. 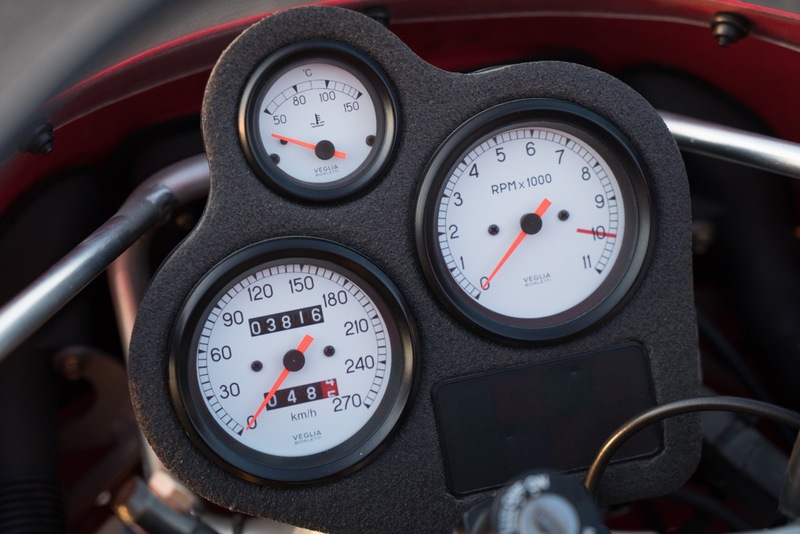 Most vehicles have a 17 digit number. There are no takers yet with a starting bid of $5,500 but plenty of time left on the auction. 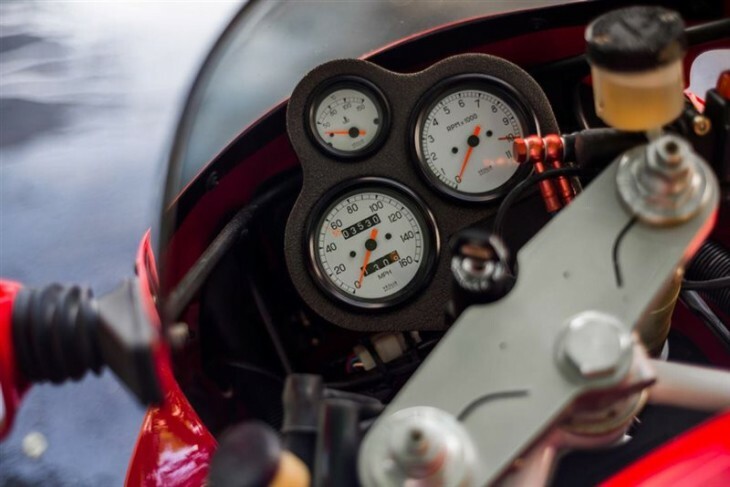 Whether you love his motorcycles or hate them, Erik's obvious passion for motorcycling and innovative mind shine through in all of his bikes, and it's a shame he's had so much trouble. 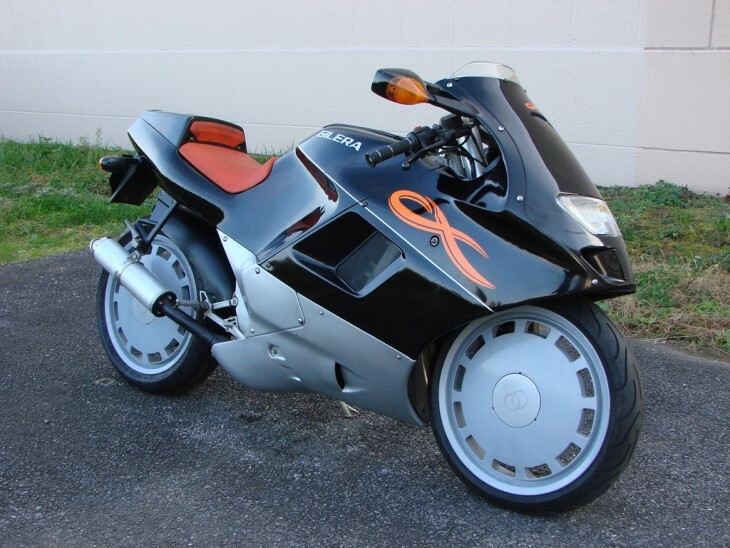 But it's a testament to his talent that people keep trying to give his ideas a home, so let's hope this new guy in Asbury Park can give Buell the stability he needs to keep making interesting machines. 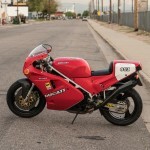 Ducati L-twins have always been fundamentally tough machines. 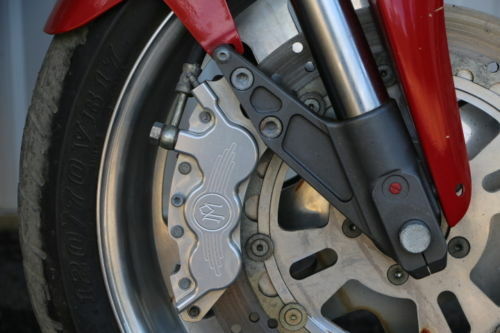 Designed to handle the rigors of the track, the roadbikes were always relatively understressed, and while the air/oil-cooled two-valve engines can be tuned to make significantly more power for the track, they're still unable to compete against liquid-cooled, four-valve four cylinder engines. 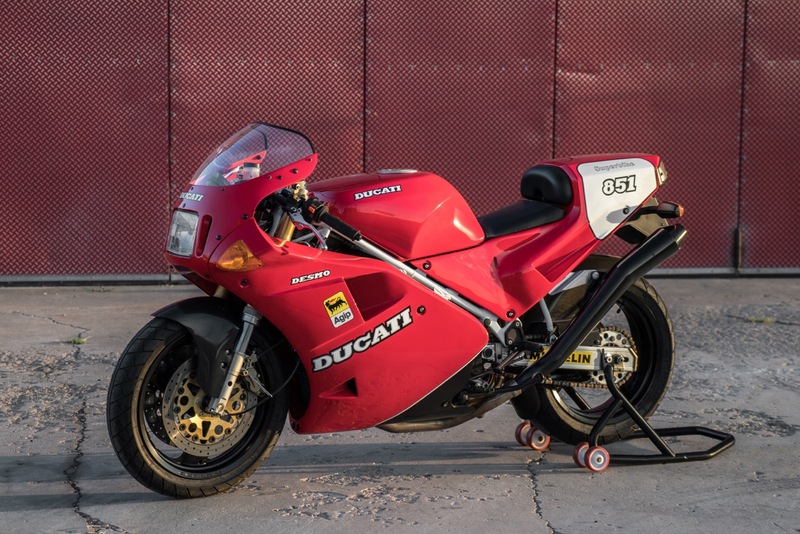 In order to stay relevant in racing and, by extension, in showrooms, Ducati needed a new bike to compete in the fledgling World Superbike Championship. 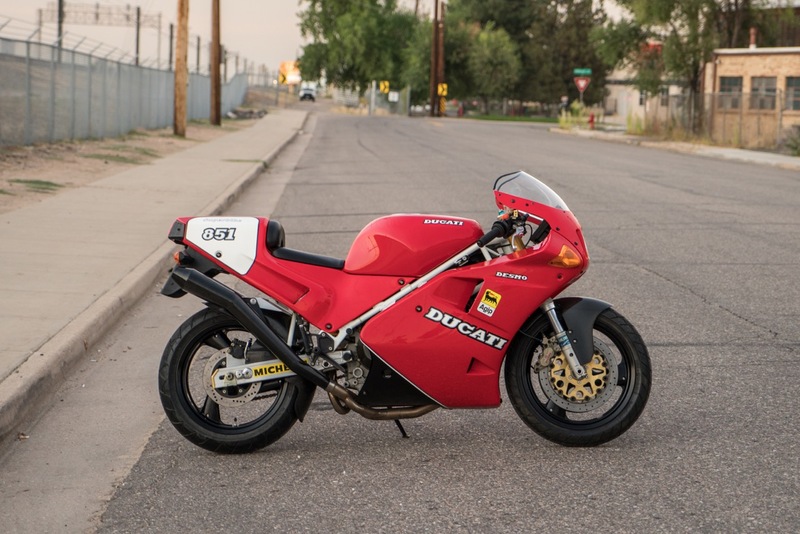 The 1987 Ducati 851 was the result and while the skin was all-new and modern, it was what lay beneath that was most important. 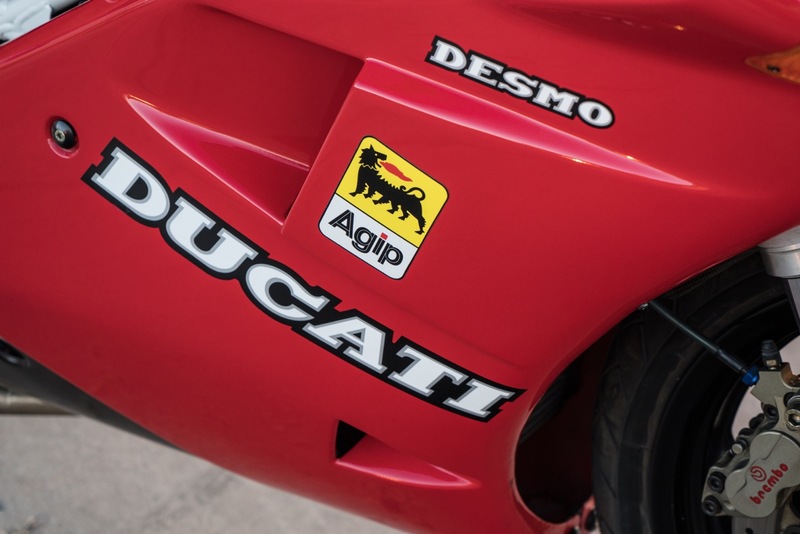 Based on the existing air/oil cooled engine, but now with four-valve heads and a radiator strapped to the front, the newly-dubbed "Desmoquattro" put out 93hp at the rear wheel along with the healthy midrange you'd expect from an Italian twin. 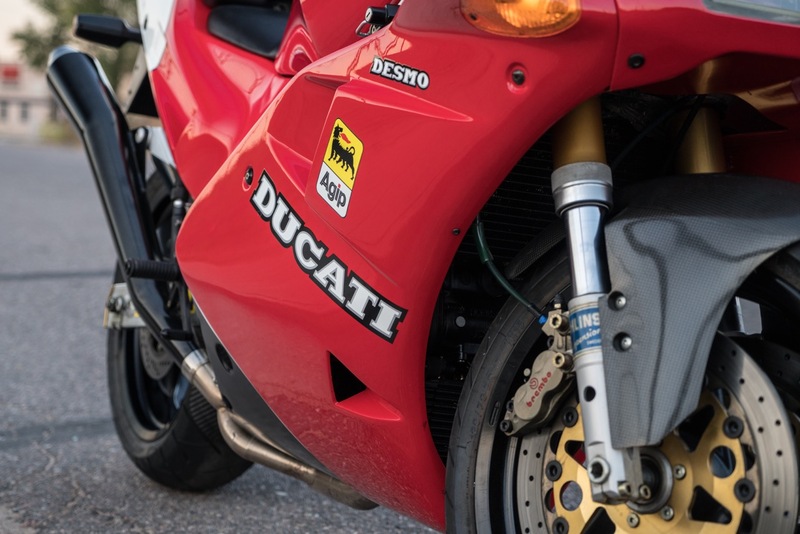 The bike was successful and quite literally put Ducati on the modern performance map, going toe-to-toe with the best Japan had to offer on track and on the road. 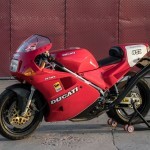 It was followed by the similarly-styled 888 that featured, surprise-surprise, an 888cc engine, before being replaced by the significantly redesigned and restyled 916. 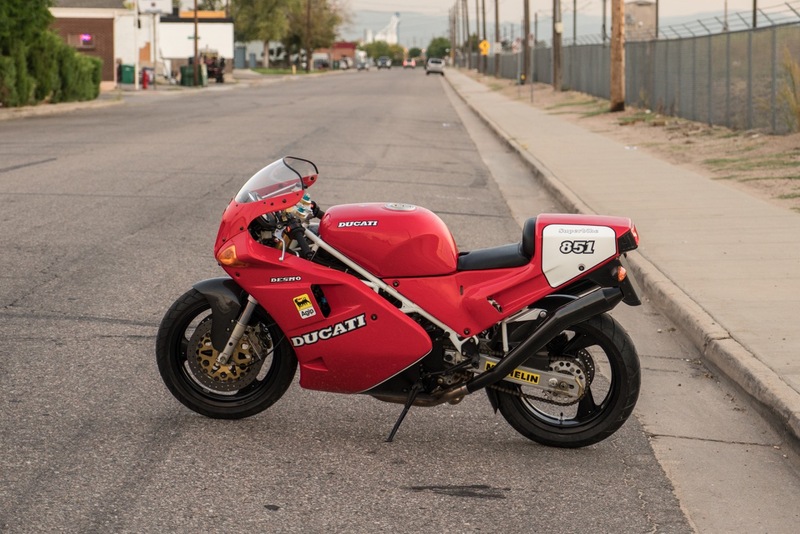 This 851 is one of the nicest and definitely one of the best-photographed bikes we've featured recently. 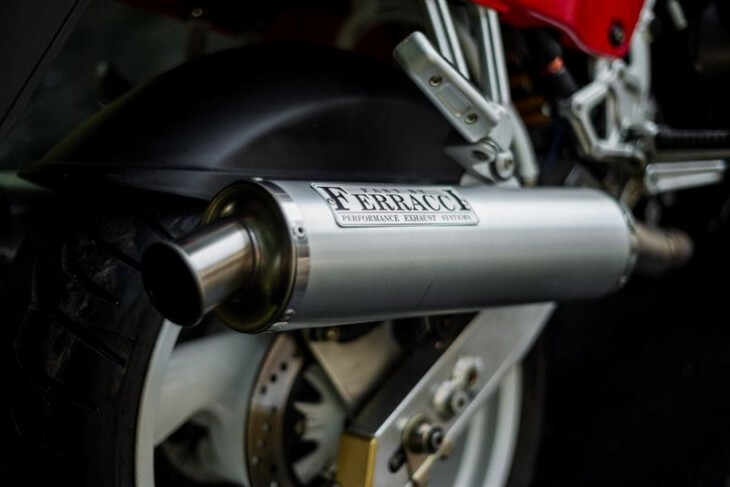 It's a stunning, low-mileage, one-owner bike that's largely stock, other than the slick, vintage Fast By Ferracci cans, making it perfect for collectors. One owner! Brand new condition! 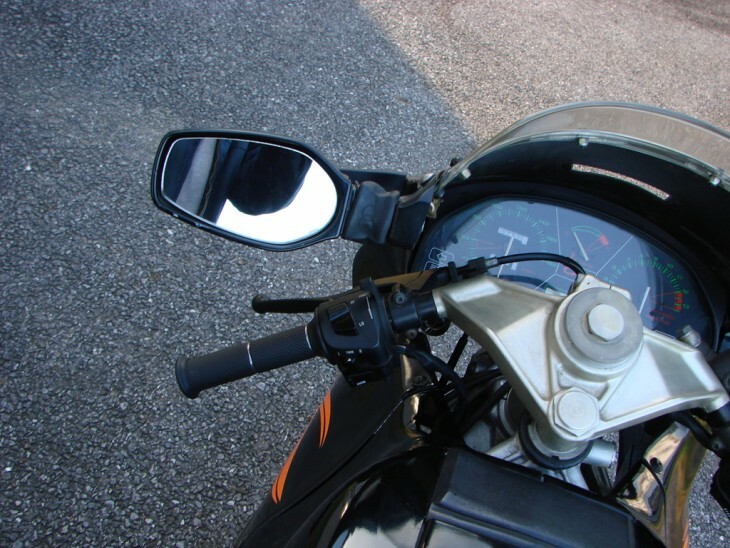 NO Dings, NO Dents, NO Scratches, NEVER Put Down! 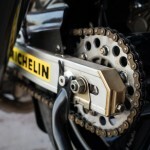 Bike is new... Nothing more to say! With just two days left on the auction, bidding has been active so far, although well below the $11,999 Buy It Now price. That's certainly big money for an 851, buy you'd be hard-pressed to find a nicer, lower-mileage example: at just 3,500 miles, this thing hasn't even seen its first valve-check yet. And you'd easily spend that much to get a shoddy example into this kind of shape. If you're looking for a nearly perfect 851 to complete your four-valve collection, this is your bike. 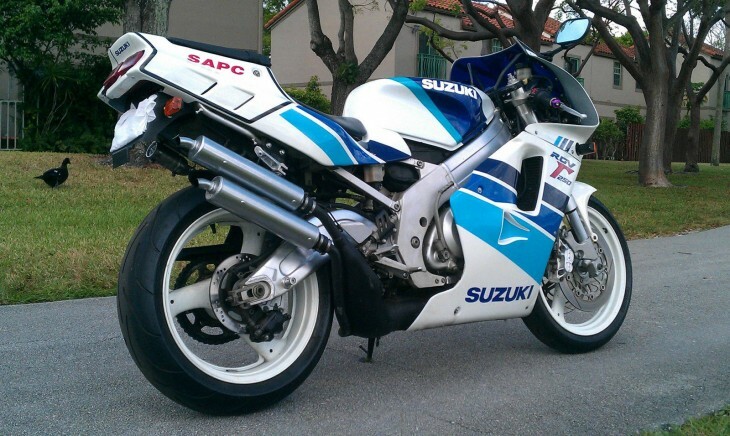 In countries where riders prefer their roads twisty and their exhausts smoky, bikes like this little Suzuki RGV250 aren't all that rare and don't command the prices they do here in the US, and titled examples of the little two-stroke sportbikes are even more difficult to find. 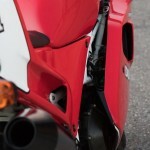 Introduced in 1988, the RGV250 Γ "Gamma" replaced the parallel-twin RG250 as Suzuki's GP-replica backroad ripper. 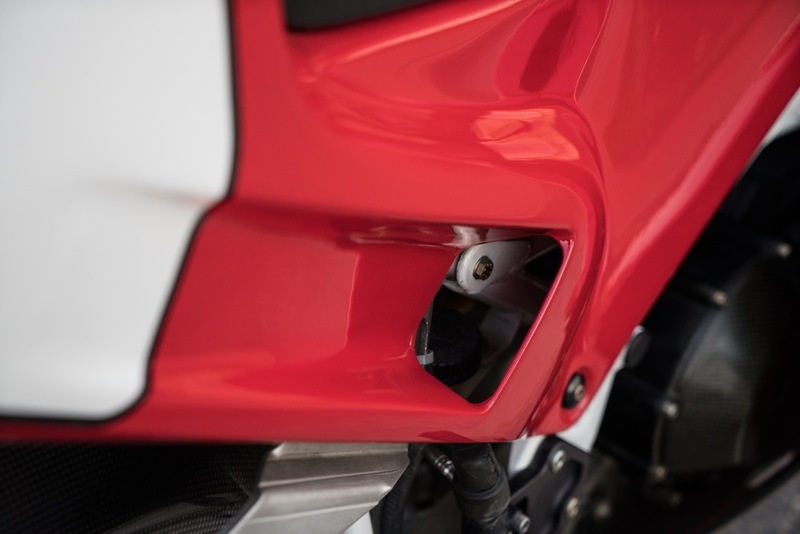 The new liquid-cooled, 90° v-twin produced in the neighborhood of 55hp at first and weighed in at under 300lbs dry, making for a very entertaining ride. 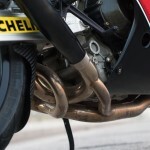 Aprilia saw the potential in Suzuki's snarling little twin and used the same motor to power their RS250. 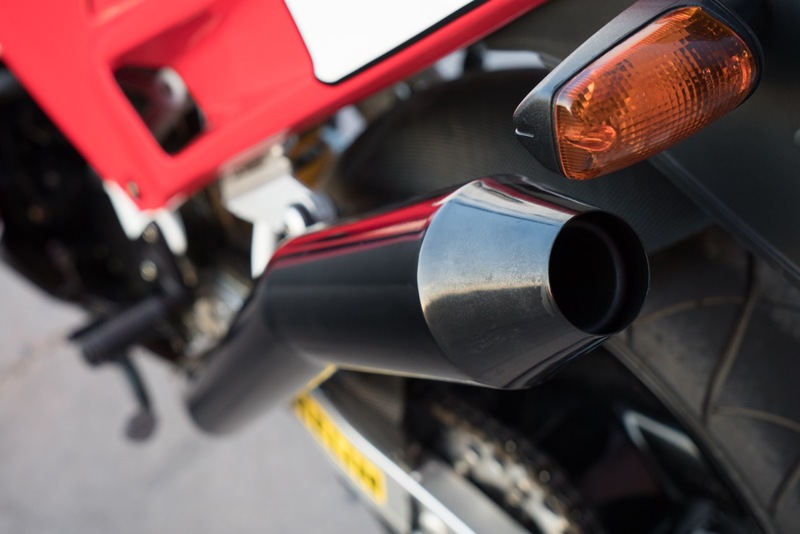 The RS250 was certainly fast, but Aprilia didn't see fit to grace their bike with any cool acronyms. 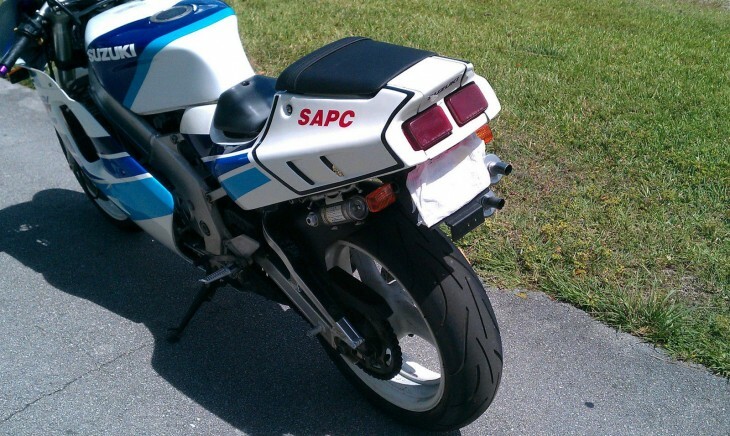 Of course Suzuki couldn't resist: the "SAPC" on the tail section stands for "Suzuki Advanced Power Controller" and refers to their proprietary power-valve system found on the second-generation VJ22 that was introduced in 1991. 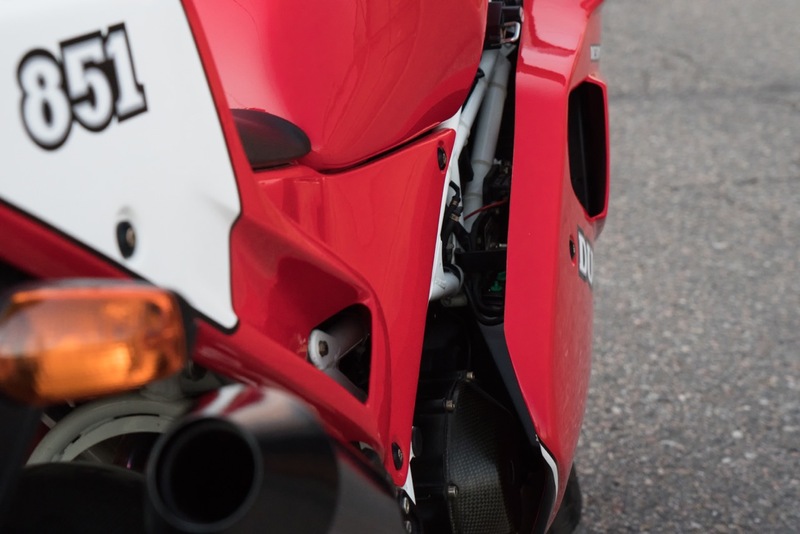 Power was up a bit above 60hp for the VJ22, although weight was up a bit as well, in part due to the distinctive curved swingarm that allowed room for the expansion chambers to tuck in close and maximize cornering clearance. It's worth noting that the power-valves on the VJ22 can stick in the low-rpm position, but the seller's listing mentions that they've been "pinned" which I'd assume means it's locked in the full-open position. 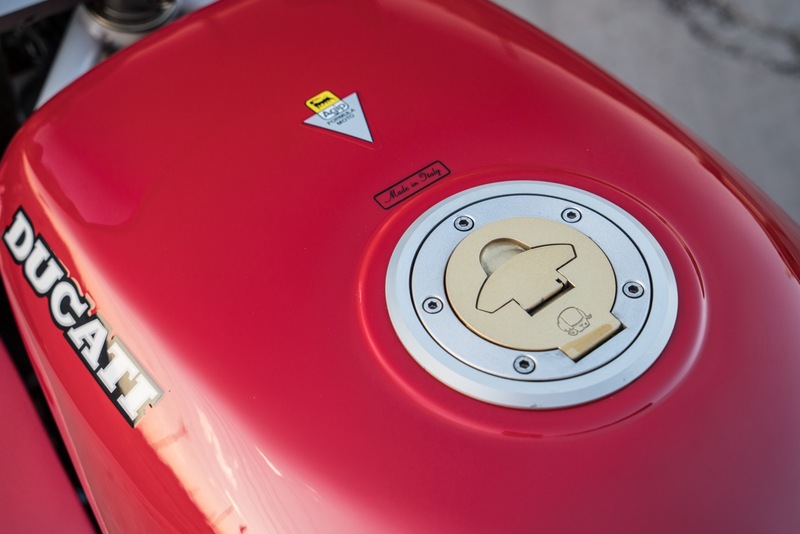 This will hurt low and mid-range power a bit, but will ensure that the power valve won't stick closed and murder the top end kick. In good condition with clean and clear Florida title in my name. 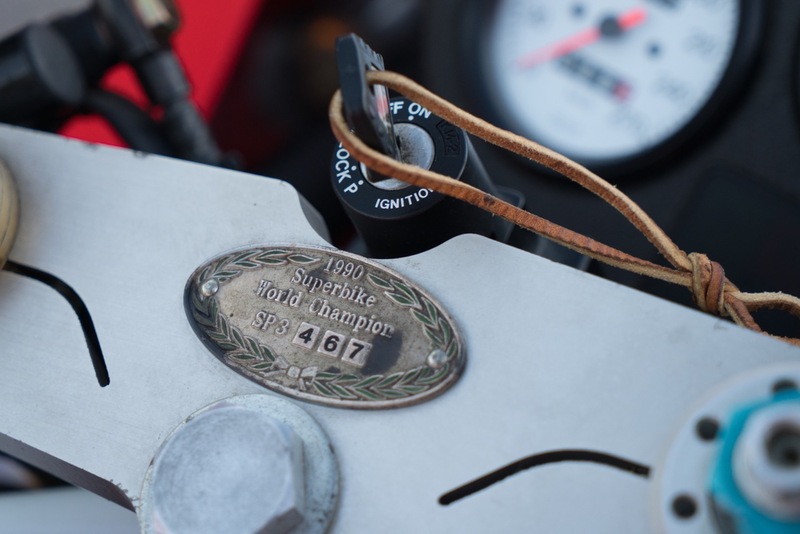 Bike has approximately 4,665 miles (7,465 KM’s) miles on it. 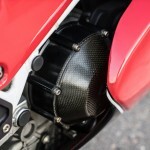 It produces approximately 55 hp and weighs approximately 282 lbs. Power valves have been pinned, and it has fresh tires. 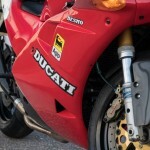 Bike does not have any corrosion or rust that is typically found on these 250’s. 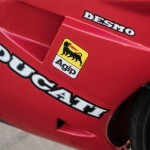 This is a rider and not a museum piece so it does have a few scratches. 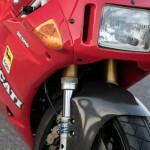 USD forks, banana swingarm, exhaust-valve controller etc.. 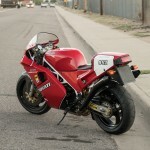 I have owned lots of other 2 strokes and none compares to a RGV250. 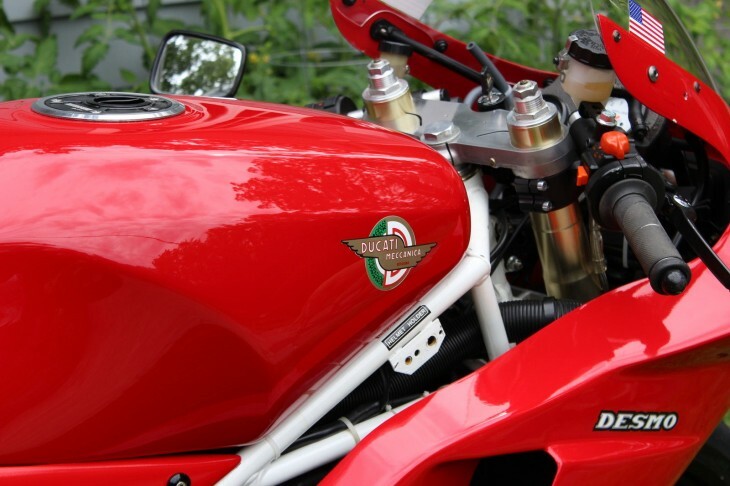 This one's ready to go, as this video of the bike starting and running shows. 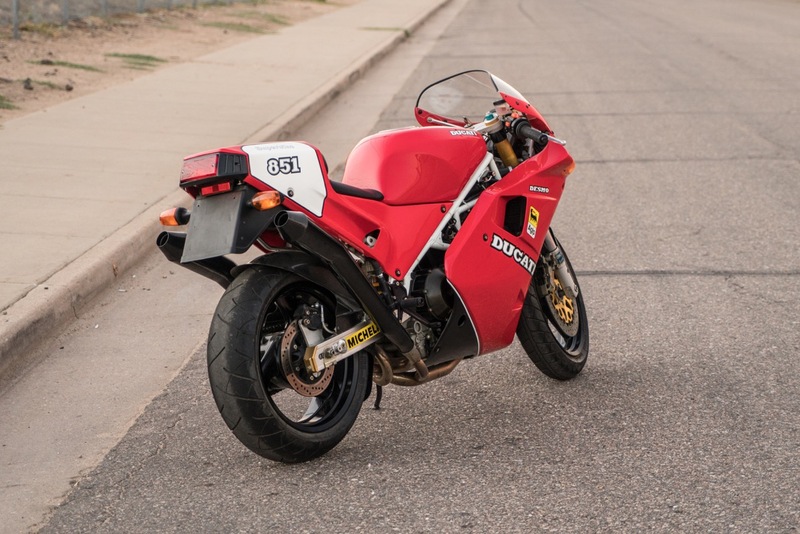 There are no bids yet, but the seller lists a Buy It Now price of $6,999.00 which seems reasonable, given the rarity of the RGV250 here in the US, especially titled and in such solid condition. Except for those purple bar-end weights: they hurt my eyes. 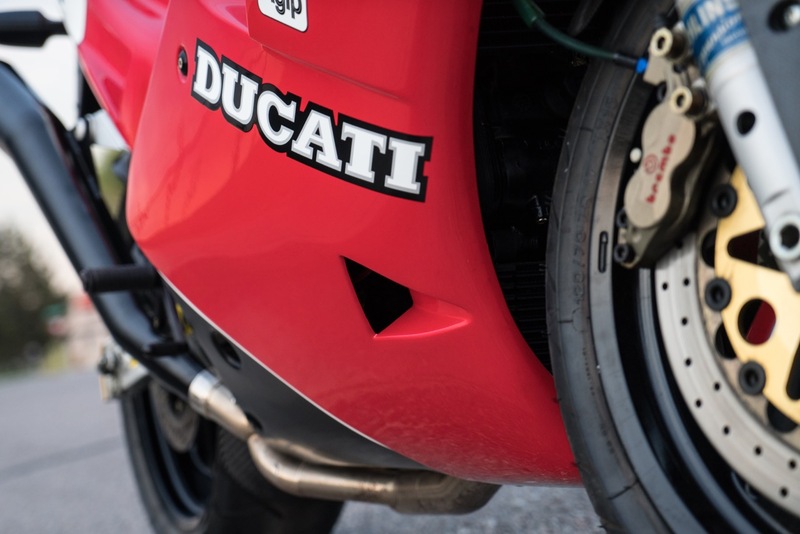 While Ducati's MHE and 900SS may be collectible and iconic now, they were seriously long in the tooth by the time they were discontinued, and even the Pantah-engined SS didn't exactly offer cutting-edge performance when new. 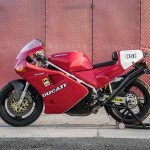 In order to keep their racing heritage alive in any meaningful sense, Ducati needed a top-shelf sportbike like the 851 that could compete successfully on track with the best bikes from Japan. 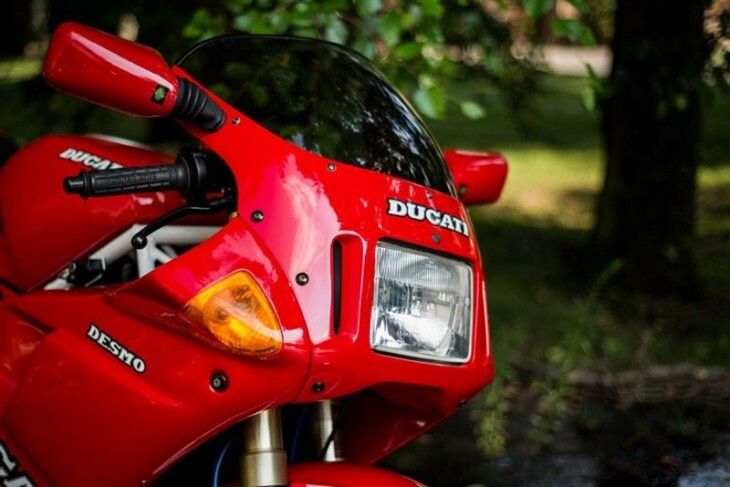 In 1987, Ducati released the 851, which took the proven foundation of the air-cooled two-valve 90° v-twin motor and added liquid-cooling and brand new four-valve heads for a serious performance upgrade. With chunky styling from Pierre Terblanche, the new Desmoquattro thumped out 93hp to the rear wheel along with a wave of torque when compared to the screaming fours favored by the Japanese manufacturers. 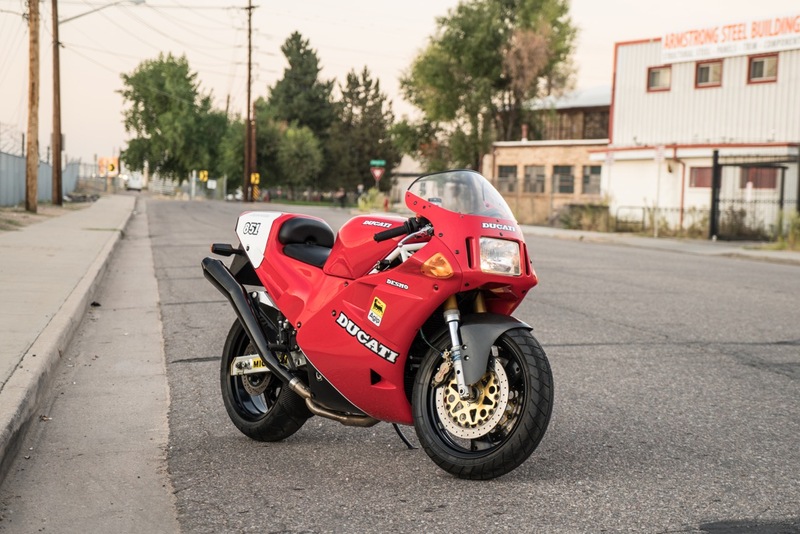 And it worked: the 851 paved the way for the 916 and helped return Ducati to the spotlight in World Superbike competition and showed that the Italian brand had value beyond nostalgia and "character." 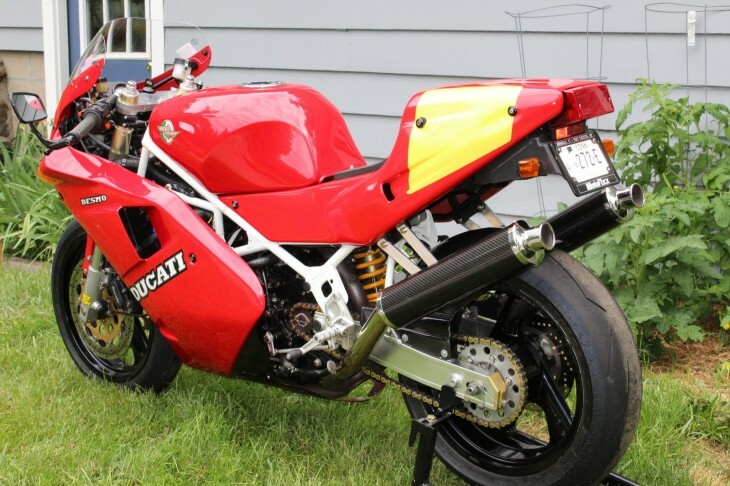 I bought this Ducati about five years ago from a local neighbor that had taken it, and a mid seventies Corvette, in part exchange for his services, at the time it had approximately 5,800 miles. 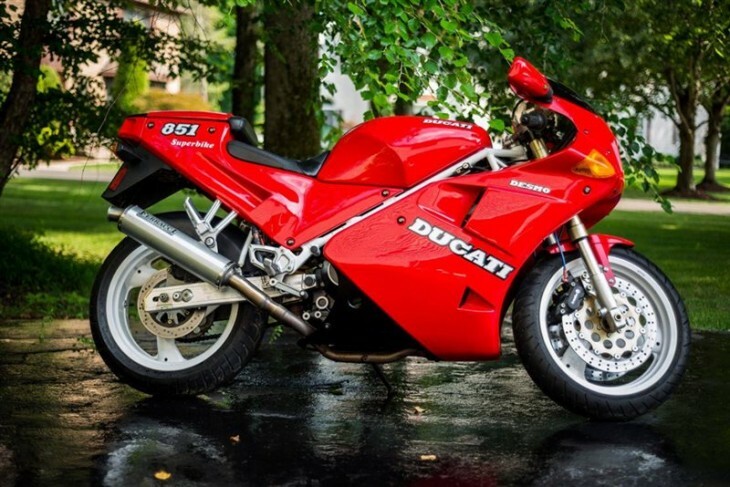 The bike had been garaged in Westchester County, New York and had not been ridden for quite a while, but was in very nice original condition. 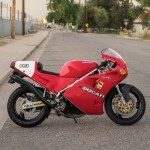 I had always admired the 851's and thought it would make a great vintage road racer, so I went through the bike with that goal in mind. 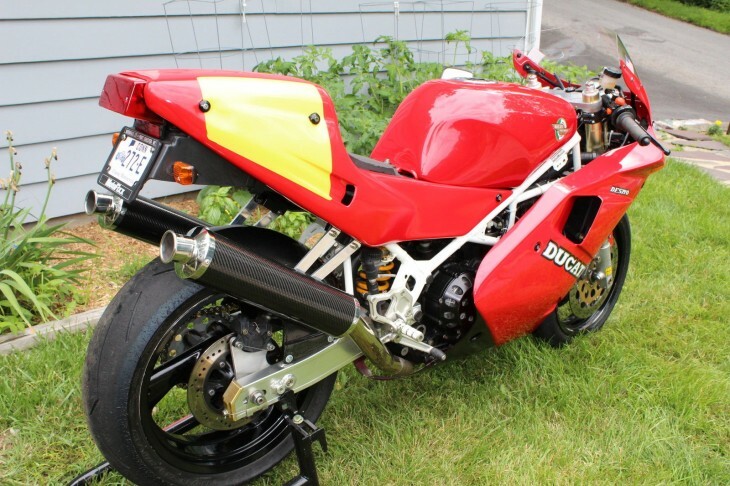 The following was done to the bike: new fuel pump, had the gas tank restored (the paint is beautiful), belts replaced, valves adjusted, throttle bodies synched, Ferraci race chip installed (all work was done by Razee's in Rhode Island), sent the forks to RaceTech for a re-valve and spring upgrade, upgraded the front wheel to the later model, larger diameter front axle, installed Pirelli Supercorsa tires, Sharkskinz solo seat. 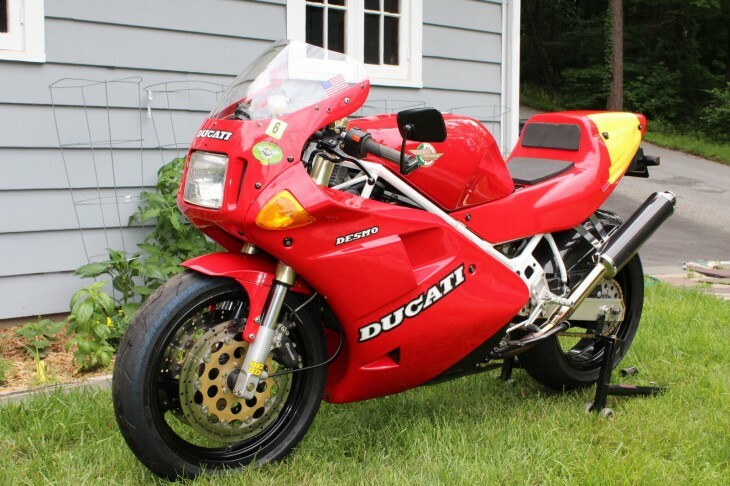 Upon completion I rode the bike at a couple of track days, did the VRRA vintage festival at Mosport in Canada (it was a real treat to ride this Ducati on such a famous track), did the USCRA Vintage Festival at Loudon, New Hampshire and the AMA Vintage Festival at Mid-Ohio. 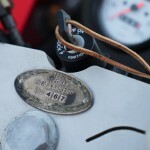 About a year ago, I decided to put the bike back on the street and registered it as a vintage motorcycle. Since putting it on the street I have only ridden it less than 100 miles. 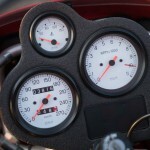 So all total, I would say I've really only put about 500 miles on the bike. 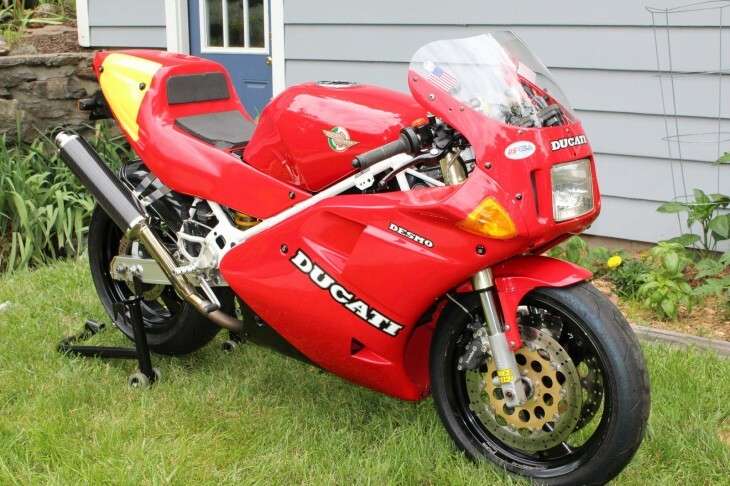 This Ducati is a blast to ride, looks great and always gets a lot of compliments. 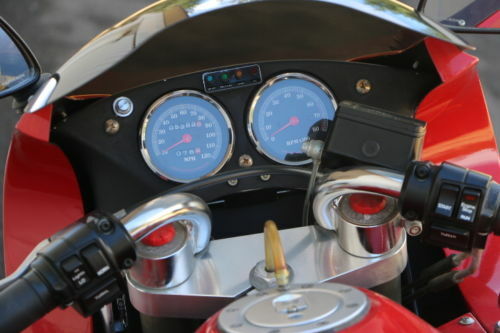 The speedometer is not working as I needed to replace the metal tang in the front wheel and the front brake light is not connected. It's probably one of the cleanest 851's you'll see and will not dissappoint. 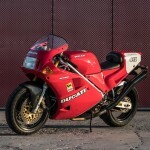 All of the original 1991 body work is included, seat, side panels etc... 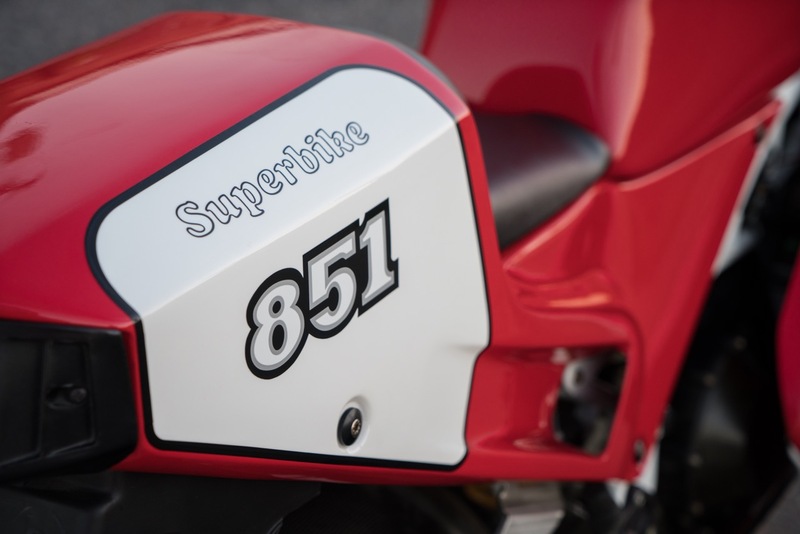 The 851's are now becoming sought after collectibles and are eligible for vintage racing with organizations such as AHRMA, VRRA, USCRA and the AMA. 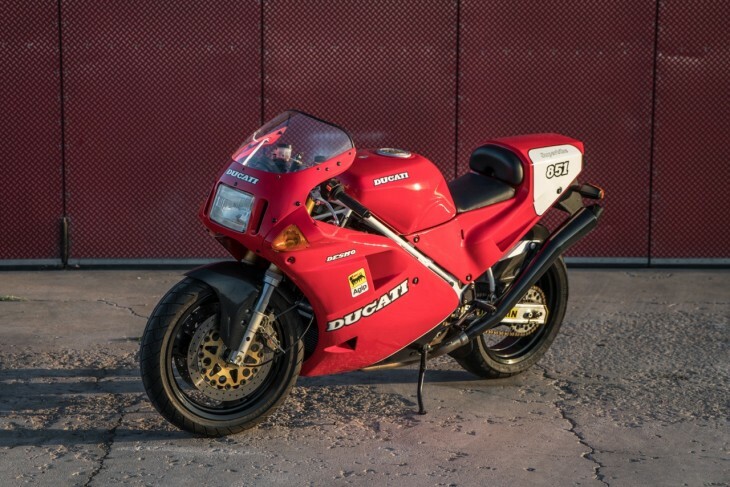 There are plenty of 851's out there, but this one is particularly appealing to me, featuring a combination of thoughtful, real-world upgrades [as well as the original parts] designed for performance, not wow-factor or the typical Ducati bling you find on more recent bikes: this one is made to run, but is well cared for as well. 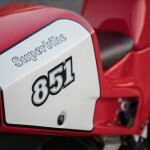 With all the hype surrounding the 916, the 851 and 888 definitely have been overlooked for a long time. 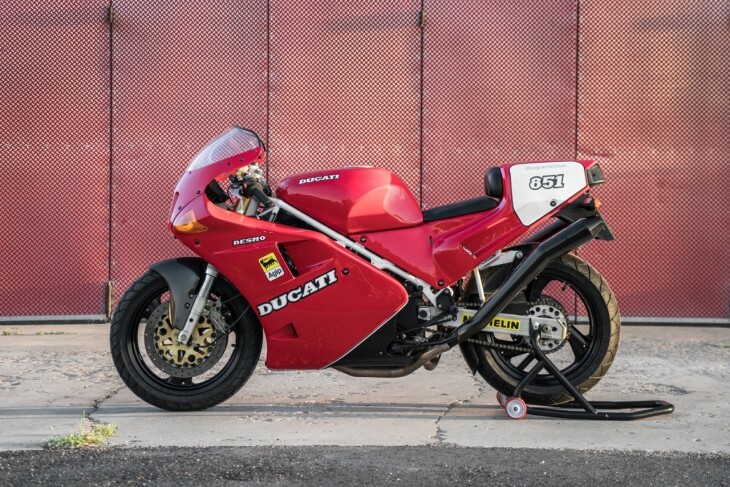 Although there have been some hints that might change, we're still looking at a starting bid of $5,000 you could be looking at a collectible modern classic that offers track-day thrills for a reasonable price.